Description: (Common) Gorse is an evergreen shrub in the family Fabaceae, native to western Europe from a northerly point of The United Kingdom south to Portugal, and Westerly point of Ireland east to Galiza in Belgium. The thorny bush can reach a height of 7 feet and withstands snow and cold. 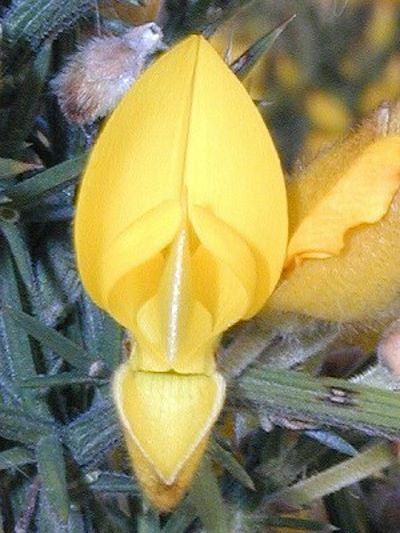 Gorse prefers to grow in stony soil, dry pastures and moors. It shuns soil containing calcium. The flowers are golden yellow, up to 1 inch cm long, with the typical pea-flower structure. The fragrant flowers are produced throughout the year, but mainly in the early spring.